Something is coming on February 9th and HP|Palm is certainly doing a good job in getting us excited for the big unveiling. Today, they are offering a glimpse of what’s to come. Tablet(s), Smartphone(s), Both? Over the past few years, Palm has been great at creating hype to surround their events. They have been very successful in getting everyone in a tizzy before product announcements. Prior to this past CES, where they sat on the sidelines, Palm has done a fantastic job in creating buzz around their events. In many ways, I’ve considered Palm events to be Apple-like, save for the black turtleneck. When Palm announced the Pre in 2009, the run-up to the release was exciting and Palm delivered. Flash forward to 2011 and the hype machine is well underway. Now under HP, Palm is once again in a familiar place, on the big stage they’ve created. They skipped CES and now the lights will shine even brighter on the stage on February 9th. The invite says, “Think Big, Think Small, Think Beyond”. The past few weeks have brought no shortage of leaks surrounding Topaz, one of multiple webOS tablets expected to make their public debut on February 9th. Not much has been said or leaked regarding the most important piece of any mobile platform and that’s a long overdue update to webOS phones. Dan Ramirez at webOSRoundup put it best when he said, “smartphones are the epicenter of mobile computing”. The time for HP|Palm to deliver a hero phone is now and it’s vital to the success of any tablet or product that will be part of the larger webOS ecosystem said to be in the works. Have you heard that something big is happening on February 9th? What if you could join HP Palm for the big reveal? The company is going to select one lucky member of the community to do just that. In order to enter, you need to tweet the following message in it’s entirety. One lucky member of the community will be flown out to San Francisco for the “Think Big, Think Small, Think Beyond” event. If you are on Twitter or planning on joining for the contest, don’t forget to follow @everythingpre. More news coming out today from Engadget regarding HP Palm’s upcoming Topaz and Opal webOS tablets that will be announced on February 9th. The Opal will be 180 x 144 x 13mm (shorter and wider than the Galaxy Tab) and will feature a 1024 x 768 TFT LCD. The larger webOS tablet codenamed Topax will ship three months prior to the Opal. It comes in at 240 x190 x 13mm or essentially the size specs of the iPad. The premium audio on the sales sheet will be HP’s Beats audio processing. 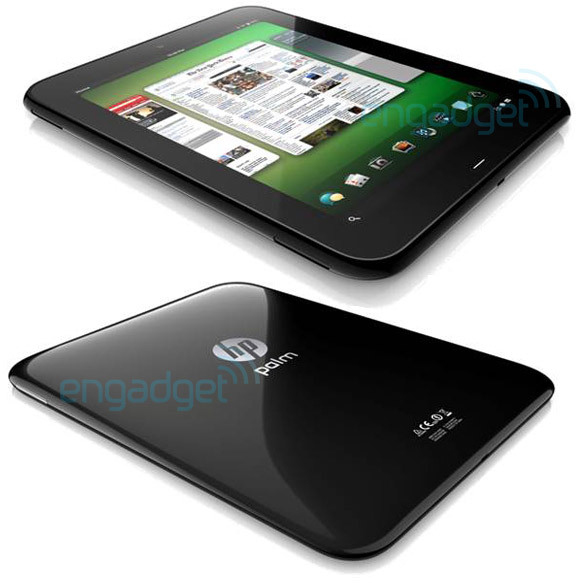 The tipster also sent details of a survey conducted on behalf of HP Palm. One question asks how interested a respondent would be in a programmable wireless charging dock that transforms a tablet into an alarm clock, digital photo frame and GPS unit. 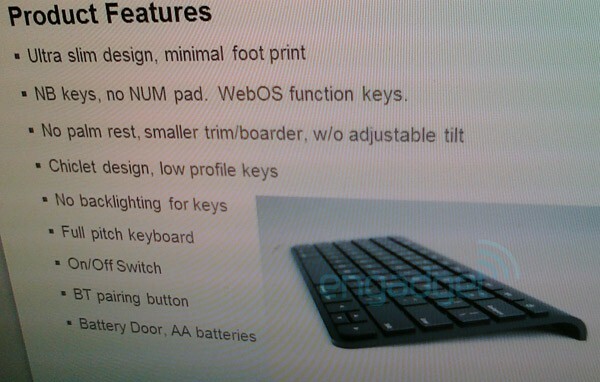 Features found in webOS 2.0’s exhibition. One other notable item is “Tap to share”, allowing individuals to easily share documents, a website or a song between a phone and tablet. All good news for an impressive showing next month as it relates to the upcoming tablets. Here’s where things go south. The tipster claims to have seen the handsets and says they are “nothing too amazing”. CES 2011 To Be Quiet for Palm? In the previous two years, Palm did not have a booth. They did however schedule big events and private rooms accessible by the media. We suspect that they will showcase webOS 2.0 in a private room this year, but it now seems that the big event might have to wait until Mobile World Congress. Could they surprise everyone? Definitely, but we’ll have to wait another 16 days to find out. We should note that we haven’t heard from Palm regarding CES. If we do, we’ll pass it along. It’s not the leaked Mr.Blurrycam® photo of that upcoming webOS smartphone we’ve been waiting for, but it is yet more information on the upcoming webOS tablet. It appears Engadget received a slide detailing a Bluetooth keyboard that will work with the upcoming tablet codenamed ‘Topaz’. The tablet reportedly takes design cues from the keyboard, with no hard buttons on the front. They also received word that a low-end phone aimed at teens codenamed “castle” is on the way to all three major carriers (Sprint, Verizon, AT&T). Perhaps that’s the Palm Pixi 2? According to ITG Investment Research analyst Matthew Goodman, Google’s Android phones accounted for a whopping 80 percent of smartphone sales at Verizon Wireless in November. Of those Android sales, 46% were Droids. What’s striking about this chart is the decline of Palm webOS phones in November. This is troubling for a number of reasons. First off, it shows a brutal sales trend downward. Secondly, Palm and Verizon are partly to blame. Back in October, they announced the Palm Pre 2 would be coming, so no one considering a webOS phone is going to invest in a Palm Pre Plus when you know a much better device is right around the corner. That being said, it’s been almost 2 months since the Verizon Palm Pre 2 was announced. Verizon doesn’t have a release date. 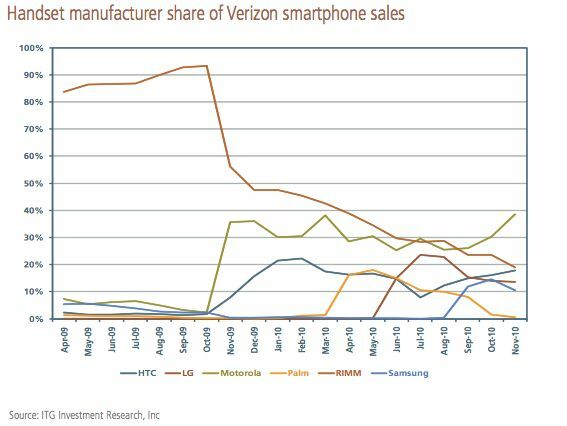 Couple this with the release of the multiple new Android phones and you have the chart below. If there is any saving grace, Palm is now sharing the boat with RIM who also saw a decline. 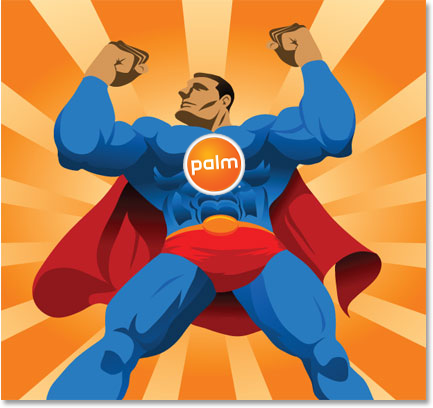 Rumors today via our friends at PreCentral that Palm will ship a new Palm Pixi 2 to SFR. It appears that France has become the new hotbed for new Palm devices, with SFR being the only current provider offering the Palm Pre 2. Palm had stated that Verizon would carry the Palm Pre 2 in the “coming months“, but the two have missed the critical holiday shopping window. With CES around the corner, sending the Palm Pre 2 to the shelves in January would be the equivalent of taking a knife to a gunfight. The news is not all bleak. The Palm Pre 2 represents an incremental upgrade, a phone that likely wouldn’t have sold in numbers that would affect any real positive change in market share. What’s needed from HP/Palm is one or more killer devices. News today indicates that phones are indeed coming. HP’s Todd Bradley told employees of HP that the company plans to “ship a new smartphone every two months“. CES is coming. HP/Palm will certainly be there and we’ll be there live blogging the yet-unannounced event. Will Palm bring it? From the folks that bring you All Things D in the sprint comes a new conference that focuses strictly on mobile appropriately titled D: Dive Into Mobile. This year, Jon Rubinstein of HP Palm will be one of the many participants. The event takes place on December 6-7. We’re thinking it would be a good time to release webOS 2.0 in or around those dates. In any event, it should be interesting to hear Palm’s plans for 2011. Sprint hasn’t seemed very interested in updating your beloved Pre with either the Pre Plus or the Pre 2 that’s coming to big red. Going on 16 months without a new webOS device has caused a bit of stir in the Sprint Pre community. 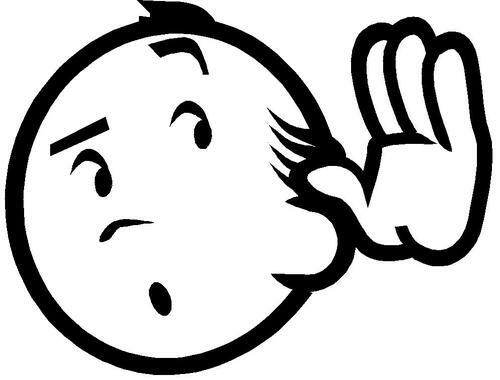 Well, now there’s an opportunity for Sprint to hear your voice. 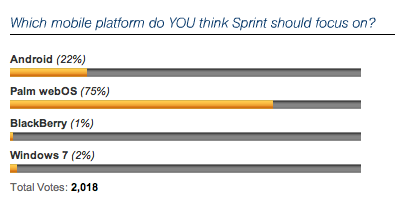 The company has set up a poll in their official forums asking “Which mobile platform do YOU think Sprint should focus on?” Registration is required, but it’s a good opportunity to let them know how you feel. They are soliciting feedback. Give it to them.